Social Science Space brings social scientists together to explore, share and shape the big issues in social science, from funding to impact. This online social network features blogs with the most current thinking from key players in social science, a forum for discussions, a resource center with free videos, reports and slides that support these discussions, as well as funding and job opportunity notices. Social science plays a crucial role in contributing to a better quality of life. It underpins many successful public policies from poverty alleviation, macroeconomics to crime prevention. Yet the contributions made by social scientists remain under-recognized in many circles. There is an urgent need for social scientists to demonstrate the value of their research and the power of their expertise for addressing the local and international challenges of our age. SAGE launched Social Science Space in January 2011. 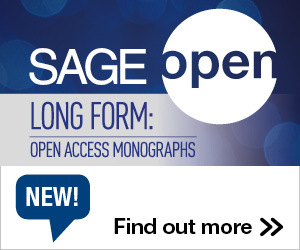 As the world’s leading independent social science publisher, SAGE celebrates and champions the value and impact of social science. We were founded in 1965 by philanthropist Sara Miller McCune with the firm belief that publishing engaged scholarship could change the way we look at the world. Today we publish more than 950 journals and more than 800 books each year, a majority of them drawn from across all major social science disciplines. We publish the very best authors, editors and societies in these fields, and disseminate their important research across the social science disciplines around the world. Launching Social Science Space is part of a series of activities and events that recognize and help strengthen the enormous contribution these disciplines make to our understanding of society, individuals, groups and cultures. We believe Social Science Space can bring together key players who are engaging in higher level debates about social science issues, from funding to impact including chief funders, societies, think tanks, policy makers and government as well as researchers. By bringing these key players together and promoting the work that they are doing, we aim to facilitate discussion about the value of social sciences with a wider community. 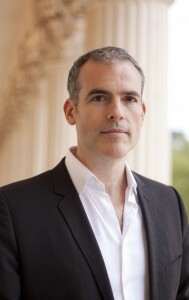 Ziyad Marar is global publishing director and deputy managing director of SAGE.